The following table gives basic sizes and names with comparisons of standards for the US, UK, Australia, New Zealand, Continental Europe, South America and South Africa with measurements in feet and inches and centimetres (cm). Conversions are done to the nearest centimetre or inch and are taken from the standard unit in use in the country or region. The US and UK use feet and inches as their standard measure for beds, with the rest of the world using centimetres (cm) or metres (m) as their standard. Quirkily in North America a one person single bed is called a Twin. A basic two person bed is called a Full. The UK and Ireland don't use the name Queen, instead the King size bed in the UK is equivalent to a Queen size elsewhere and the UK uses the term Super King for the size that is named King in other regions. European single mattress sizes are generally 90cm x 200cm from manufacturers that supply to many European countries, local manufacturers sizes may vary from country to country with 190cm beds and mattresses also being fairly common. South American countries use the same nomenclature as the UK & Ireland with King and Super King being used instead of Queen and King. 200cm length beds and mattresses are also generally available. 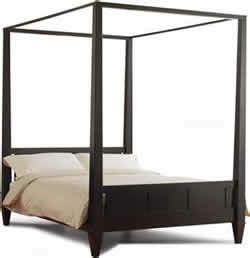 200cm (6'7") length beds are available for all sizes in addition to the standard 188cm length. They are known as Extra Length beds.